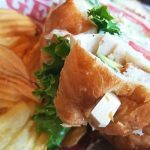 The new Red Robin in Benton has been serving customers during private training times, and MySaline got the opportunity to sample several dishes. 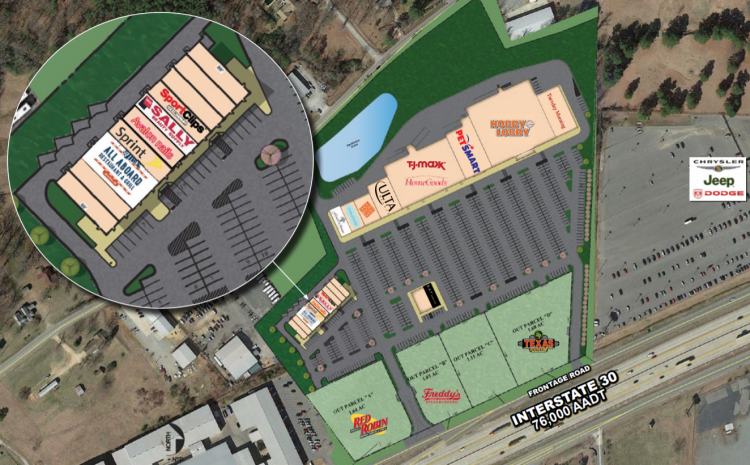 It’s been over a year since we learned Red Robin was coming to The Shoppes of Benton at Interstate 30 near Alcoa Road. 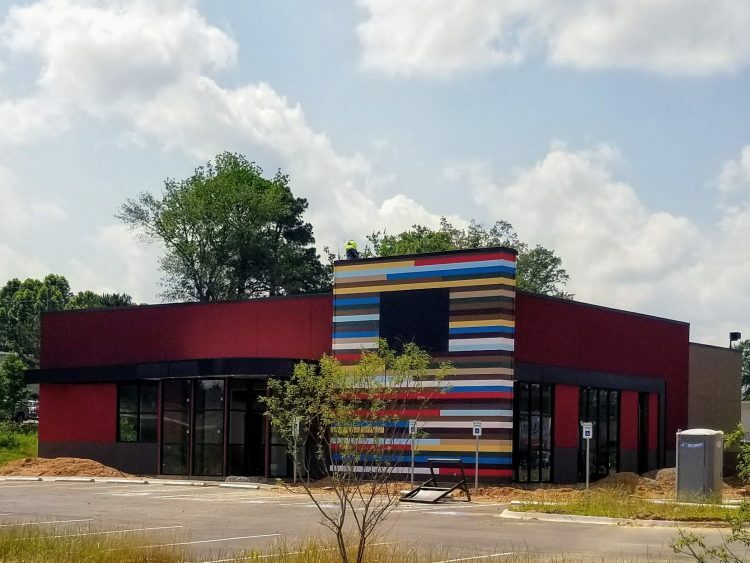 The restaurant opens for business to the public on Monday, August 13th. I made reservations on their website for myself and my family to eat on Wednesday for lunch. We started with the Freckled Lemonade that has real strawberries in it, and the Artichoke Spinach Dip appetizer with their homemade chips, and then we each ordered a burger or entree. Our table’s overall opinion is that the menu held a wide array of attractive choices at a fair price. The four of us ended up with happy plates (that means we emptied then), so even during the staff’s training mode, it was good stuff. 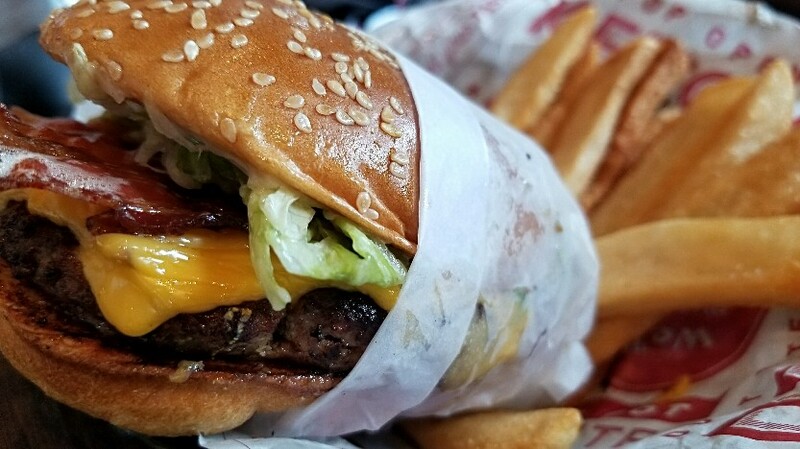 Red Robin is known for their gourmet burgers, and we ordered a Bacon Cheeseburger with that big beautiful sesame seed bun, but also tried a Wedgie Burger, where it’s wedged between lettuce instead of a bun (a good choice to lower your carb intake, but we had to try the fries as well today). 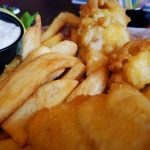 We also got the BLTA, which is turkey, bacon, lettuce, tomato and avocado on a croissant, as well as the Fish and Chips, which has battered and fried cod fish. 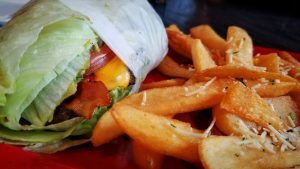 The staff was very friendly and we loved the food. 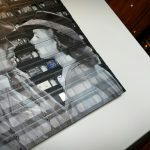 We also noted some very creative arts on the wall. 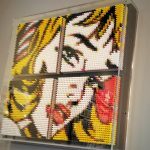 Artists made use of audio cassettes, 8-track tapes, VHS cassettes and crayons for various works. 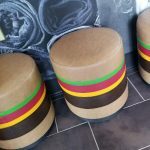 The whimsical hamburger stools in the entry were a delight as well. There’s a decent-sized bar in the middle of the restaurant. 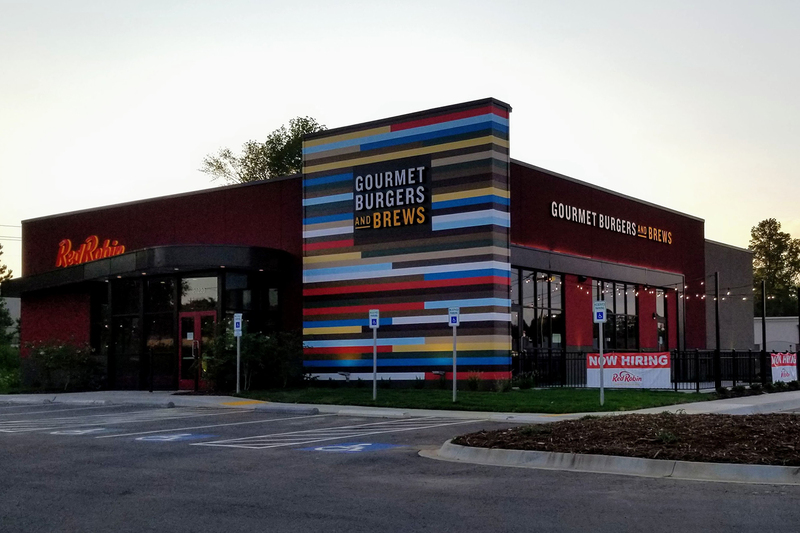 Notice on the outside sign in the picture below that it says, “Gourmet Burgers and Brews.” The restaurant will be serving adult beverages. This is a good addition to our local fare in Saline County. On a related note, when Red Robin does open to the public, you might try to remember to get on of their gift cards from Kroger before dining, and then you’ll earn extra points toward discounted fuel. Nice! 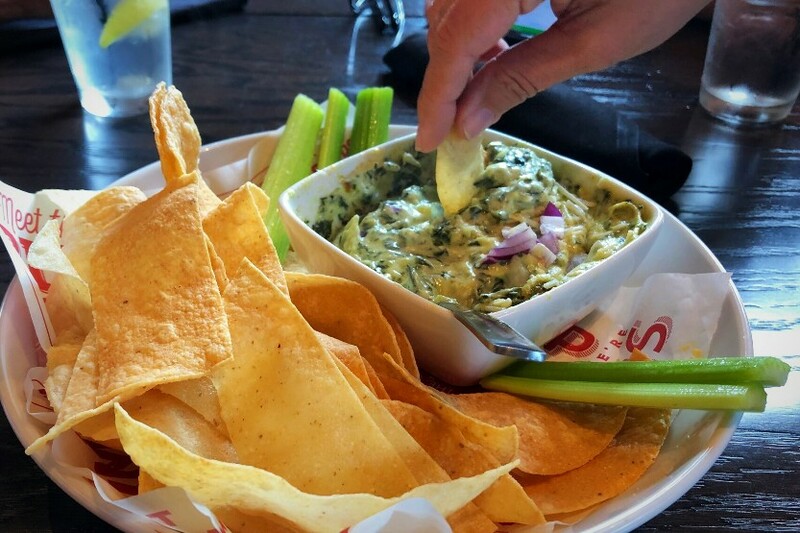 Welcome to Benton, Red Robin. 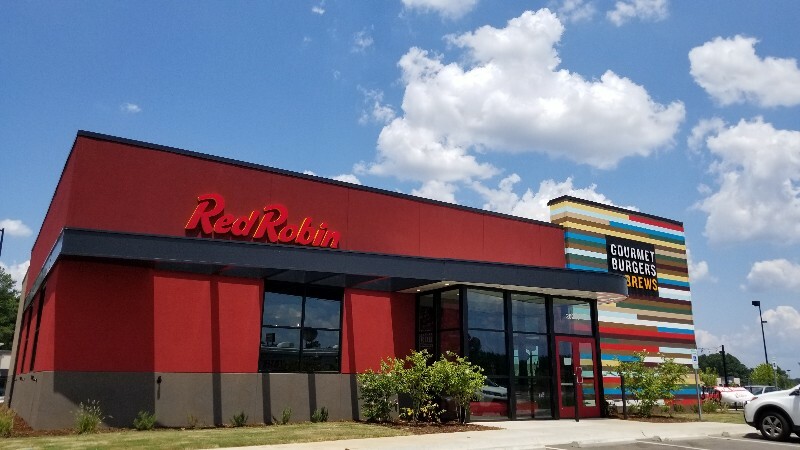 I’m hearing from a source close to the restaurant that Red Robin post to open in mid-august, possibly on Monday August 13th. We will update as we know more. 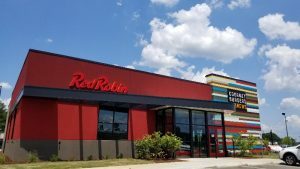 This update is just to show you a new picture of the Red Robin building in the Shoppes of Benton mall off the Alcoa exit. There are some really colorful walls up and a man is doing something on the roof. 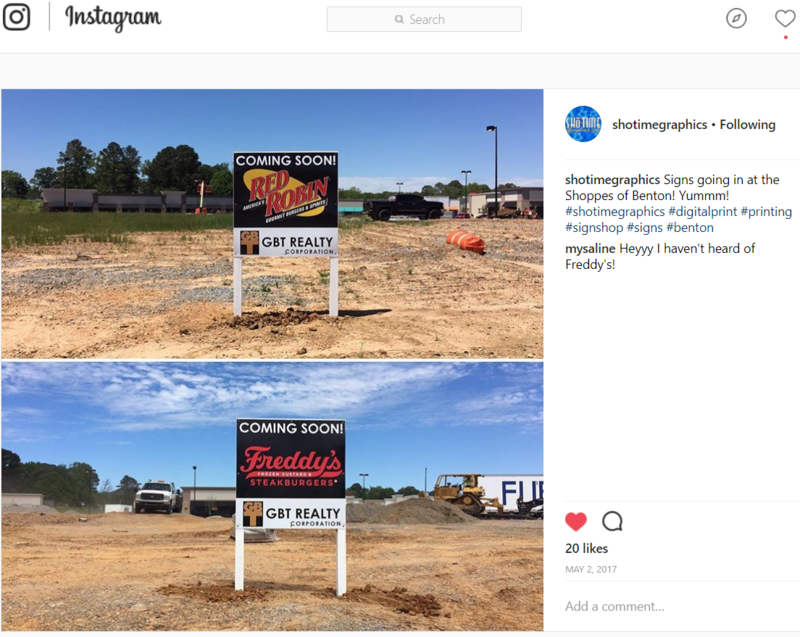 I will place my bet on an opening in the next couple of months if all goes well. This picture is from May 30, 2018. 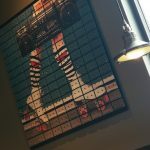 Scroll down to see an image from Red Robin’s website that shows a completed restaurant with all its signs, lighting and decor. We last talked about Red Robin in January, after the property sat vacant while its neighboring restaurant, Freddy’s seemed to rise up in construction overnight. It took so long for any activity to happen, that some wondered if Red Robin still planned to build. Well they did, and we reassured folks, and now they are actually building, so here’s your update. 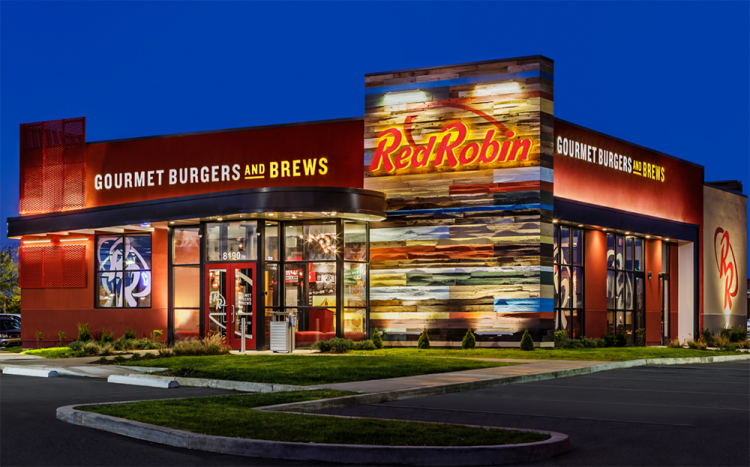 From their website, the following photo is an example of how the Red Robin restaurant will look. 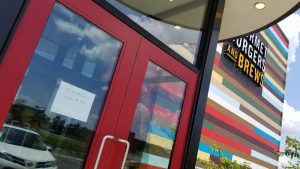 We still don’t have an exact date for opening, but look for it sometime this summer. 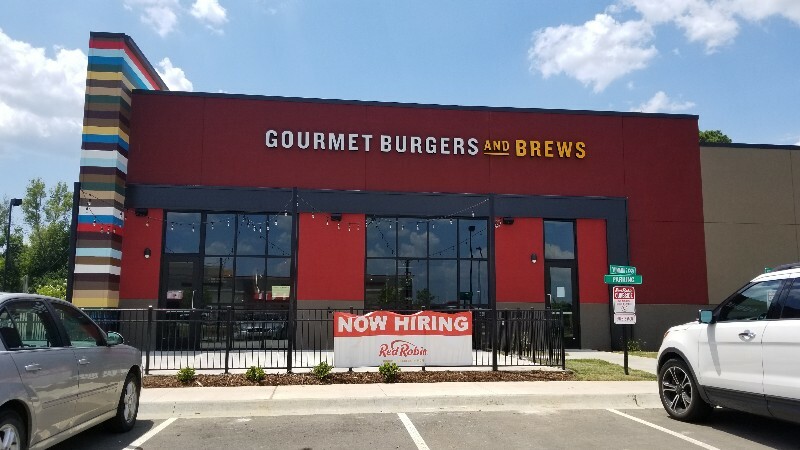 MySaline has received numerous reader requests for information on the status of the Red Robin restaurant at The Shoppes of Benton. They began construction roughly the same time as Freddy’s Frozen Custard, but they seem to have stalled out after having only poured a parking lot. 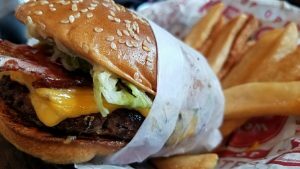 This led to the public questioning whether Red Robin is still coming. 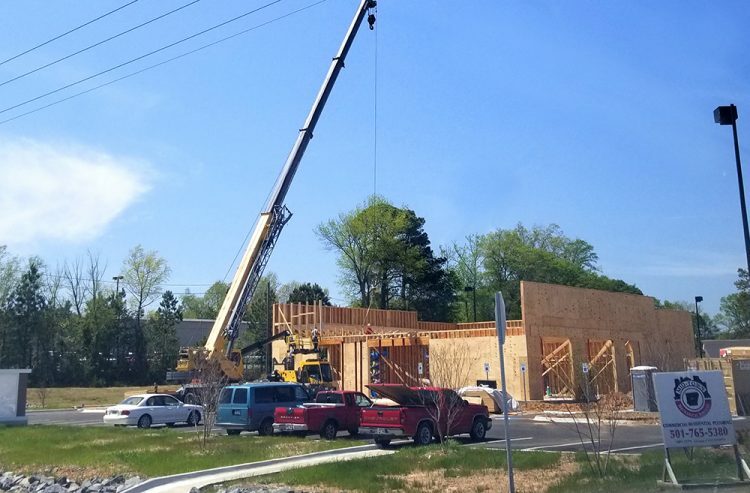 According to Fraser G. Schaufele, the Director of Leasing at GBT Realty Corporation, the restaurant hit a snag with some permits, but they are still on track to finish building. So yes, it’s still coming. We just need to be patient. I wish I could help. 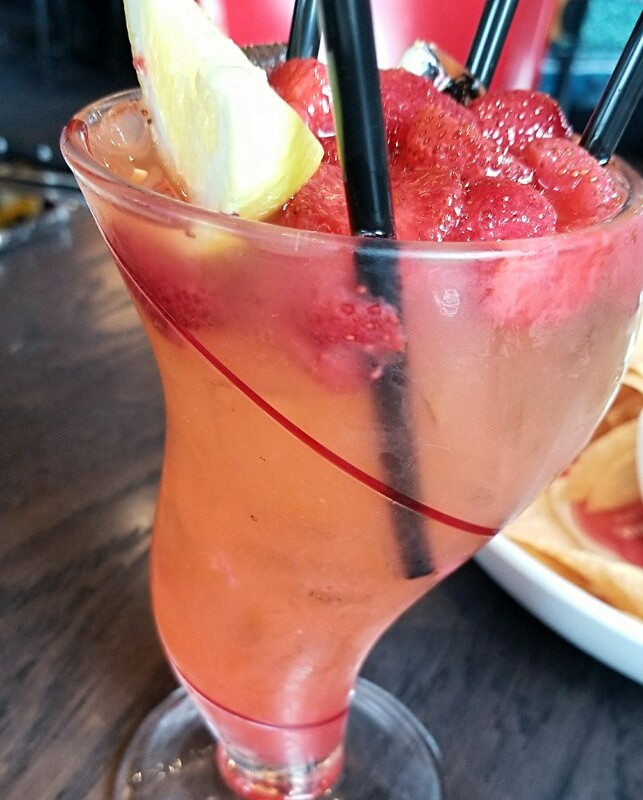 You’ll have to ask someone at the restaurant. If you want a Whataburger, contact corporate and let them know.